I address you thus, rather than ‘Hon’ble Chief Minister’ or any other pompous titles as I know you are also an AAM AADMI like any of us. I watched the swearing-in ceremony and listened to your speech with great interest. I also received telephone calls from many of my friends across the country and the topic revolved around the new government in Delhi. Arvindji, I write this with mixed feelings. As you yourself mentioned, you too are not devoid of Fears. Like all of us, your mind too is full of qualms and uncertainties. No one would realize better than you that the Expectations from you at this point of time are sky high. However, the Confidence that you inspire is to be seen to be believed. The Conviction you exude is what makes the AAM AADMI feel Confident about the Future. 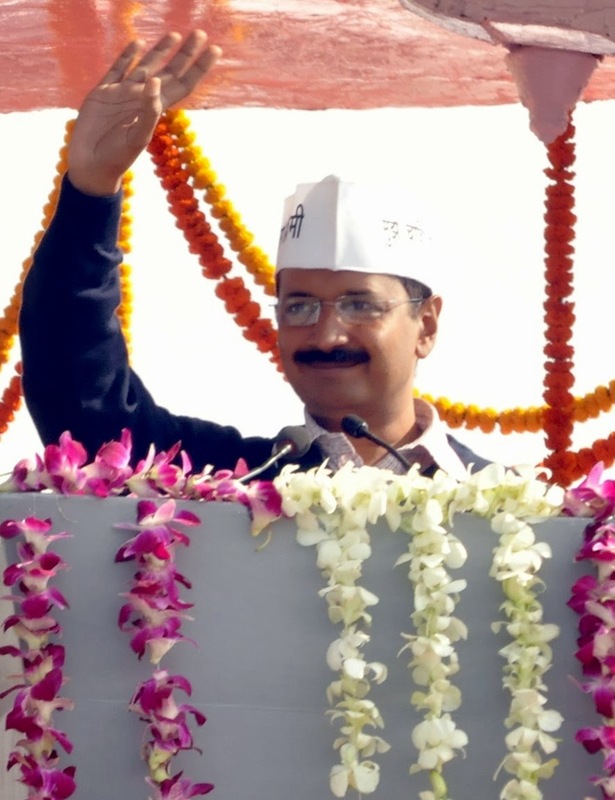 The problems faced by the people of Delhi – and our country – are countless. For most of them, survival itself is a struggle. With every change of government people cradle the fond hope that things would turn better, that there would be enrichment to their daily lives. At the same time, there are many who have turned cynical, thanks to the non-performance, under-performance or negative performance of previous governments. You rightly said that you do not have a magic wand to solve all the problems Delhi is grappling with. Change – and that too Positive Change – is something that takes place over a period of time. While degradation can set in rapidly, improvement has a longer gestation period and could take years – or even generations. This is probably what makes the future scary for you as people expect positive change overnight. Moreover, public memory is short and the honeymoon period shorter still. The PEOPLE can very well sweep you and your government away as swiftly as it brought you into power. I know you are not obsessed with power. Survival of your government is not a matter of concern for you. But, it is indeed a matter of concern for the AAM AADMI. Like a sculptor that chisels away and does not notice the progress made with every stroke, you too need to stick to your task assiduously. I need not remind you that the swearing-in ceremony was not the end – IT WAS ONLY THE BEGINNING. Your perseverance has made you see the light of this day. Your tireless efforts are required even more at this juncture if you are to do justice to the confidence imposed in you by the PEOPLE. The winds of change are slowly, but surely, beginning to blow. What has happened has come like a BREATH OF FRESH AIR. PEOPLE of Delhi have spoken. They want a CHANGE. Even if promises regarding water and power are not solved instantly and fully, PEOPLE will appreciate if corruption levels are brought down if not eradicated altogether. Public outrage against scams and swindles and scandals was evident in the last elections. PEOPLE are fed up with the other political parties. They do not aspire politicians who think of the next election – rather THEY CRAVE FOR STATESMEN WHO THINK OF THE NEXT GENERATION. ‘Be the Change that you want to see’ – so spoke Mahatma Gandhi. You are that CHANGE. You need to bring about a CHANGE in the ‘so-called ruling class’. You have reminded that the ruling class is nothing but ‘servant’ of the PEOPLE. The PEOPLE are Almighty. You exhorted your ministers not to be overcome with pride. This advice could not have come at a more appropriate moment. That you conduct yourself as an AAM AADMI even after becoming Chief Minister is TRULY COMMENDABLE. However, you need to take care of your safety as you would have made many enemies in your efforts to cleanse the system. Do not compromise your safety as the nation needs people like you. Keep up the good Arvind. Good luck and God bless. The COMMON MAN has done his duty as a citizen in accompanying you on the first step of your journey. On my part, I wish you Godspeed and aid you with my prayers. May God watch over you, guide you and protect you on your JOURNEY. And, last but not the least, do something about that persistent cough. Your health is equally important.